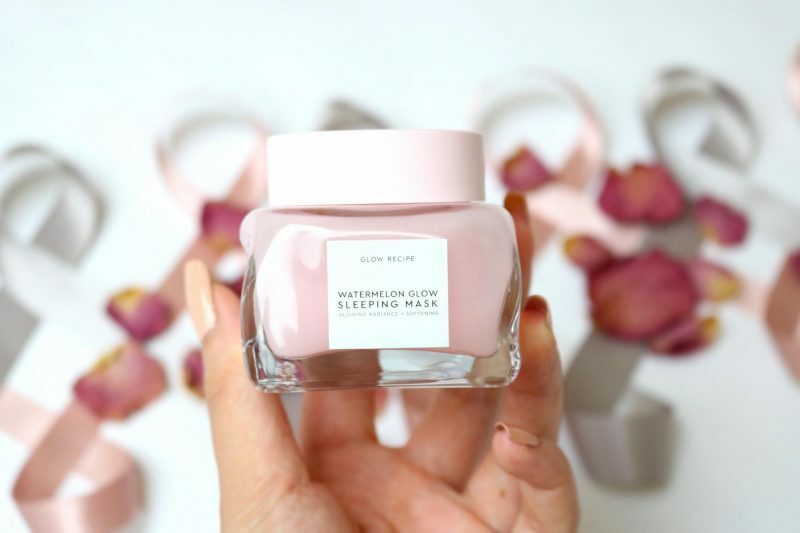 Glow Recipe created the Watermelon Glow Sleeping Mask. A while ago I saw everyone purchasing this mask on Instagram. It became an instant hype and I truly wanted to try it out but it was instantly sold when it came back in stock. I asked my lovely friend Mika who lives in the USA, if she could order it for me but she said that she didn’t hear amazing thing about it. Hmm I asked myself how was that even possible while everyone was getting their delicious Watermelon Mask? Then an angel heard my prayers and send me the mask to try it out (thanks to Cultbeauty!). Now I can finally test it out myself and see if it is worth the hype. 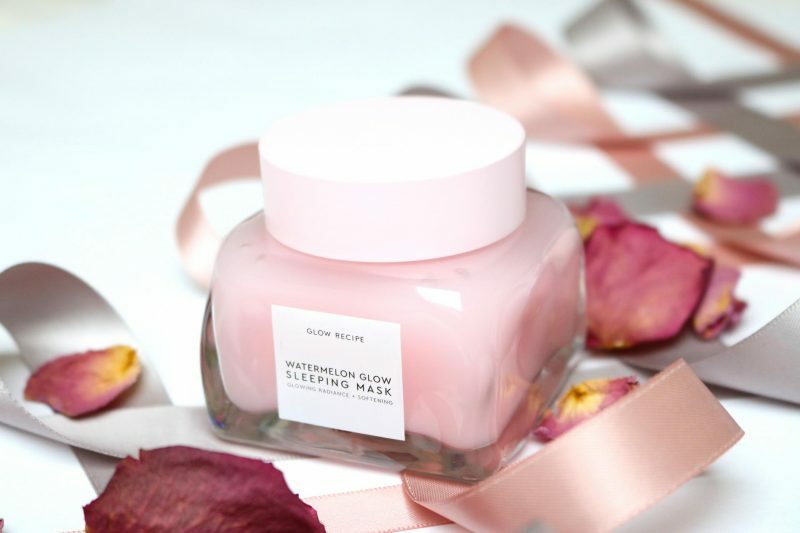 *Due to the highly natural makeup of the Watermelon Glow Sleeping Mask formula, some separation may occur. We recommend mixing the formula vigorously with the included spoon for a full minute to allow the formula time to fully re-incorporate. Afterwards, your Sleeping Mask should have a gelatinous, gel-like texture. 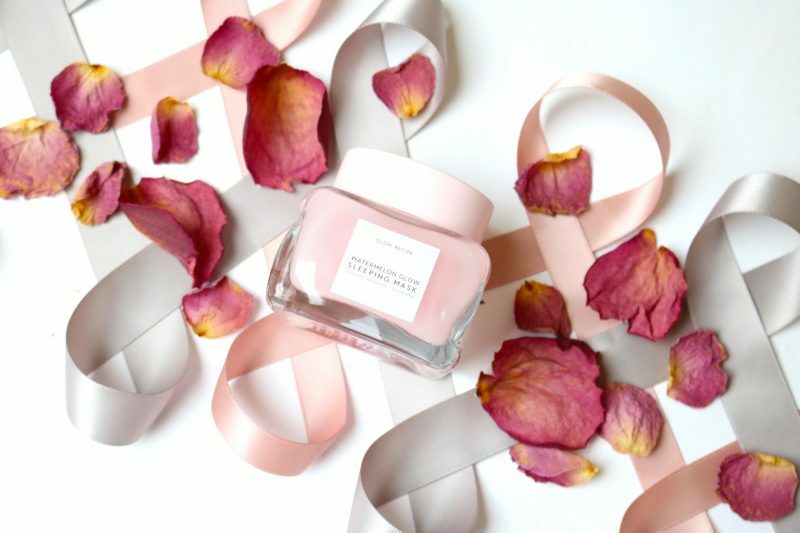 When you are an Instagram junkie as I am you may noticed that skincare accounts are popping everywhere and they all have the same kinda feeling: pink items! A few favorite skincare accounts of mine are @sharmtoaster and @sortofobsessed because they inspire me to purchase cute looking skincare products. 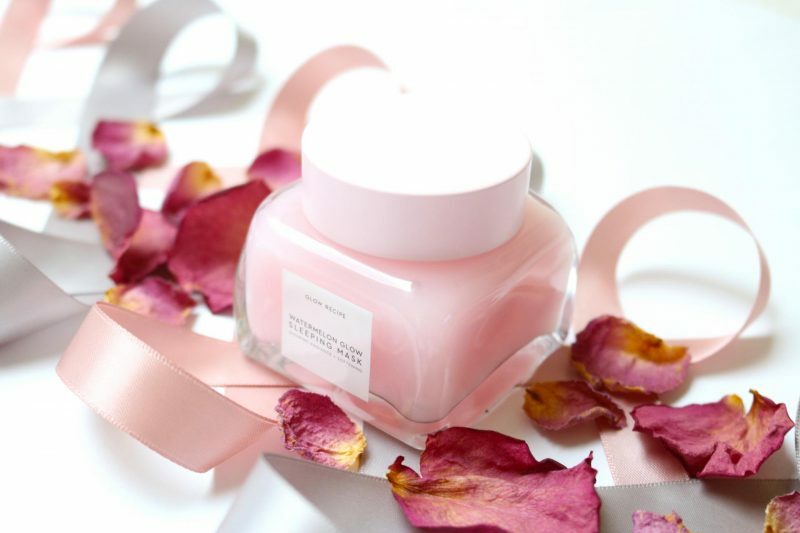 Their pink feed makes me wonder to start a second account only dedicated to skincare items, but having a beauty account is already a fulltime job! 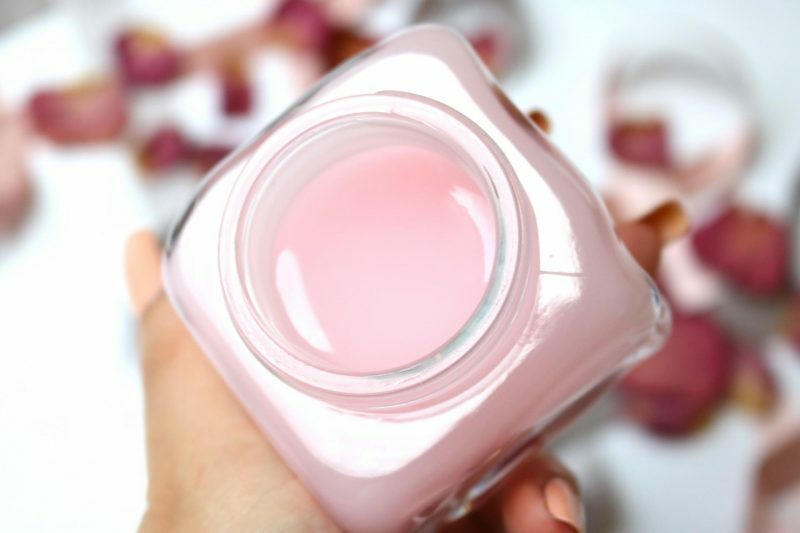 The Watermelon Glow Mask is just your perfect pink jar on your vanity. 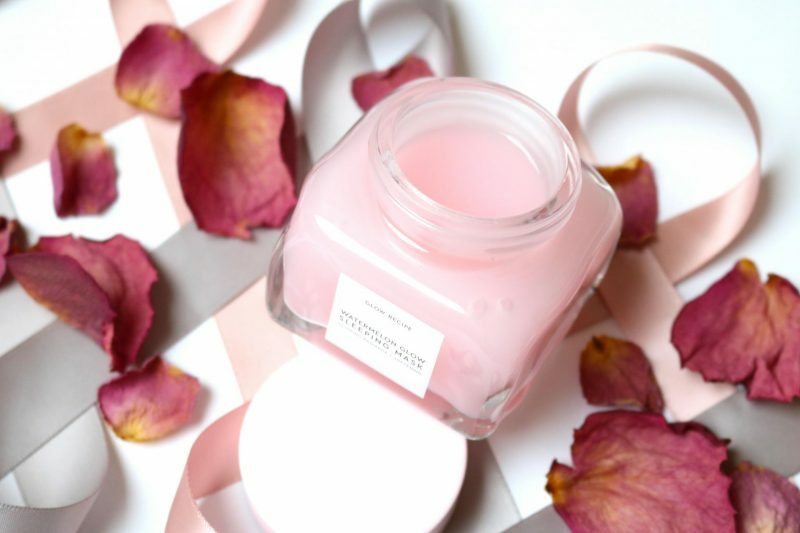 The glass jar makes it feel super luxurious and the pink consistency and lid makes the total look just amazing. Marketing is well done with this product because even the paper box were the jar came in had a cute watermelon print on it. The minimal label at the front of the jar makes it look simple and clean. Again, this product is just Instagram worthy. The moment you remove the lid this fresh summer watermelon breeze will escape. Don’t expect a strong nauseous scent, it is really subtile but still noticeable. I think the amazing scent made this mask a big hype. I can totally agree that you need this mask only for its delicious scent. It takes you back to those summer days when you lay in the garden with a fresh lemonade and a slice of watermelon. Talking about watermelons, I once went on a cruise with my parents and little sister and they had this fruit corner during the breakfast buffet. We ate like 2 whole melons as a family because they were the best! Gosh, those were so tasty. What I didn’t know was that you need to stir the consistency in the jar. 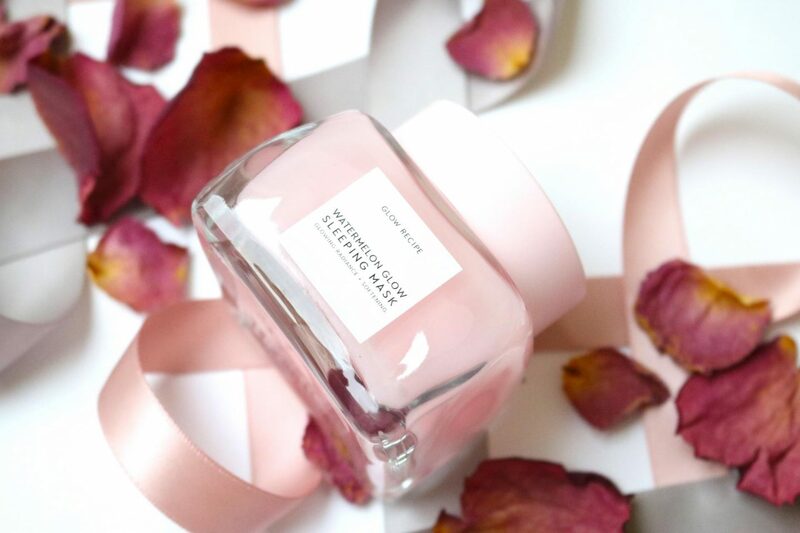 As you may have read above in the description box the ingredients may will create layers in the jar, so remind yourself to always stir the mask before you use it! Luckily the mask will come with a clear small spoon to stir your mask and wipe it on your face. When you scoop it out of the jar you will see how jelly/watery this mask is. This mask just applies beautiful on the skin and just minutes has passed and it is totally dry. That is what I call an amazing mask that just dries up so you don’t need to worry that you will make stains everywhere. In this case the texture of the mask is just perfect because it will dry up really fast when you apply it. That means that you can jump right into bed without having to worry that your face will stick onto the pillowcase. That is usually the reason why I dislike overnight masks because I don’t like the heavy/sticky feeling. Apply the mask and let it sit for 15-20 minutes. During this time enjoy your online shopping or a good book, time will fly by with this mask. Rinse it off and see instant results! But what are the results? Does my skin shows any glowing, radiance or softening signs? For me it doesn’t work that great compared to other people out here. I’ve seen great reviews from people who said it changed their skincare game and that they can’t wait to use their mask every other day. When I use it as an overnight mask I didn’t achieve that softening feeling, I just woke up with the same texture skin and it was not like a baby bump. Also the glow was barely visible which really made me feel sad. What I saw after a good night of sleep was just a hydrated skin. No even skintone, glow or radiance. Did I do something wrong? 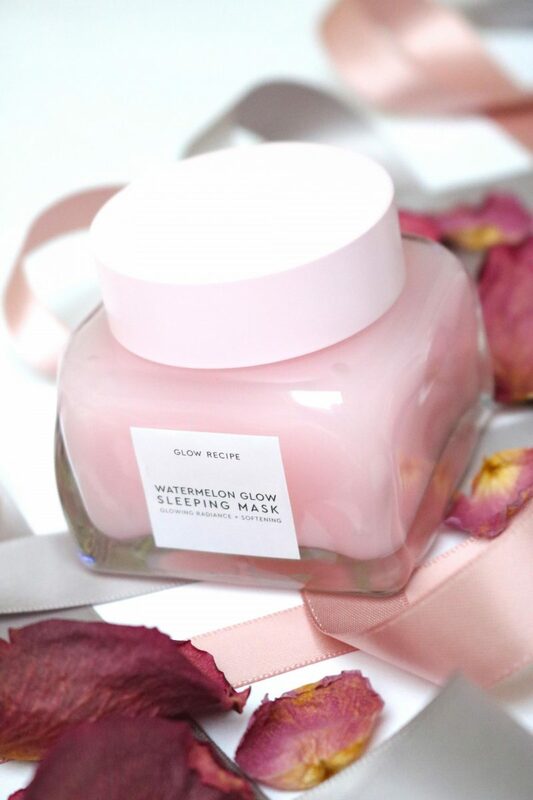 How do you use your Watermelon Glow Mask? The best what works for me is using it as a wash off mask. I apply a thick layer on my skin and relax at least 20 minutes. When I rinse it off I do notice a big difference in the softness of my skin. It looks calm and well rested, more than I see when I use it as an overnight mask. Sadly enough this mask just doesn’t work for me as an overnight mask. Rating 3,5/5: the scent is just amazing and everyone will love this watermelon scent! But the results are not what I expected from such a hyped mask. I expected more when I used it as an overnight mask while other people are crazy about it. Maybe because I have super oily skin? I don’t know, what I know is that the Watermelon Glow Mask only works for me as a hydration mask for 20 minutes. Do I recommend it? If you love watermelon and cute looking products: yes! When you have oily skin: currently no. Maybe the mask acts differently on my skin because it is winter, but I will not use this mask frequently this winter. I have plenty of other overnight masks which do their job but they do feel a little bit sticky when you go to sleep. But because there are so many psotive reviews about it, don’t hesitate to try it out! 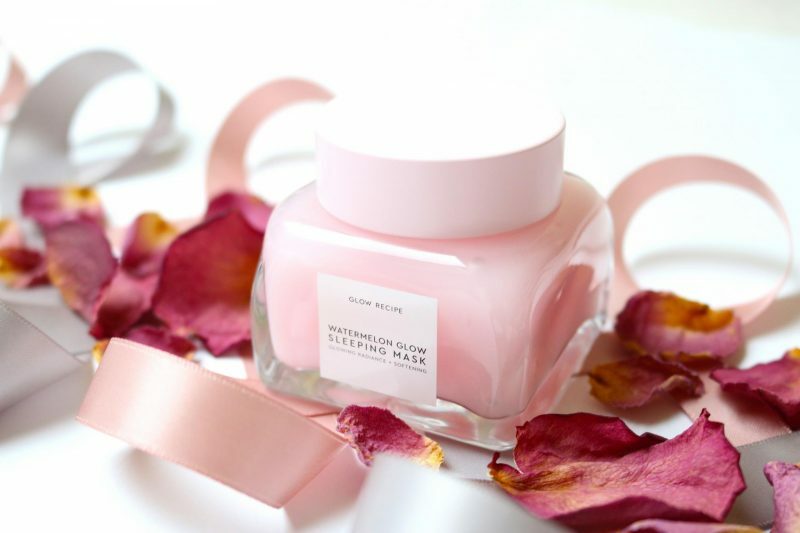 You can purchase your Glow Recipe Watermelon Glow Sleeping Mask at Cult Beauty for £40.00. An, this is such a great review! Thank you for sharing your honest opinion and of course for your stunning photos! I am quite intrigued by this mask, it’s actually one of the top skincare products I’m hoping to try this year. I didn’t rush to purchase it when it first came out as I did hear some mixed reviews from some of the people whose opinions I trust. But I want to form an opinion of my own. I’ve also noticed over the years that overnight masks never work for me, so that’s not going to be a deal breaker. Also, I miss Mika’s posts a lot. If you still talk to her, please say Hi for me. thankyou so much for reading my dear <3 yes I also had my thoughts when I read the mixed reviews but I was still super curious why everyone kept buying it. hmm overnight masks are also not my favorites things and it got confirmed when i used this mask haha! I will tell Mika that you say Hii to her, we all miss her. Definitely should give it a try. Thank you so much for reading! Yes if you are a skincare lover, this item is really worth the try. Ooh you lucky girl I’m so happy you got to try this and test it! Yeah there is no way I would spend that much on this kind of product when you can easily get a much cheaper one that still has quality. The great thing about Kbeauty is that it is affordable, but when Western brands have picked up on it and charge an excess then I get a bit frustrated. Unless they market themselves like brands Sulwhasoo, Amore Pacific, etc pricey Kbeauty brands that have very high quality, then I should expect to see such quality match that. It’s just about being careful of brand tactics and being smart about where to put your money.